This page on Cambridgeshire garden centres includes those in Peterborough even though that area is now a unitary authority in its own right. Scotsdale in Cambridge is the jewel in the crown for Cambridgeshire. This is followed closely by Huntingdon Garden and Leisure in terms of annual turnover. Lots of smaller garden centres and specialist nurseries are to be found in this county and these are probably the real star of the show for most of us. This is the smallest of the Frosts garden centres but it still manages to provide a complete garden centre service. Frosts acquired .... Click here for the full article. Huntingdon Garden Centre is part of the Garden and Leisure Group which currently owns seven garden centres in total. 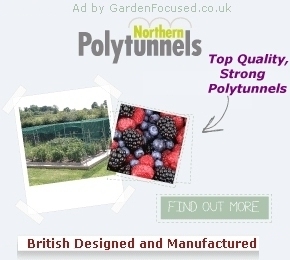 It is well within the top 20 UK garden centres by turnover so this one is large by .... Click here for the full article. Oakington Garden Centre, previously a plants nursery, has been run by the current owners (see above) from 2007. They no longer grow plants on the premises having converted to a more conventional .... Click here for the full article. Inside, the choice of gardening items for sale is good with a full range of fertilisers, pesticides, tools etc. There is also a large pet shop which stocks pet foods, accessories and a larger .... Click here for the full article. This is a garden centre packed full of excellent plants and bucket loads of character. Many of the plants are grown on site, something very few of the larger garden centres can claim. This is important .... Click here for the full article. The covered part of the plant area is split into two providing about 20% of protection against rain. The overall impression of the area is one of spaciousness and a relaxed atmosphere. The plant bays are .... Click here for the full article. Our video this garden centre can be found here and our review of the cafe is here. Scotsdale is one of the highest turnover garden centres in the UK and certainly the top one in its region. Before going to the main review below we noted that lots of effort had gone into the planting .... Click here for the full article. The plants area is a mixture of solid surface and some areas gravel. The plants are attractively laid out, some areas with two levels of plants. With the relatively small size of the plants area signs are not .... Click here for the full article. Having wandered around this garden centre we were stuck by the small percentage of space given over the plants area, a lot smaller than most of the garden centres we have visited. The bought in plants are .... Click here for the full article. 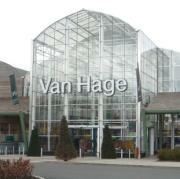 The Van Hage Garden Centre in Peterborough opened in February 2010, one of only three Van Hage's in the UK. It's a big gamble for one of the smaller players in the garden centre business. Having visited .... Click here for the full article.